The auto show returns to downtown Detroit next month with new models wrapped in shiny new sheet metal, but the larger changes for the industry are already happening on the assembly lines across the state. Changes in consumer tastes, the rise of autonomous and connected vehicles and the trade policies of a new president are helping shape the staffing level and profitability inside the workplaces of some of the best-paying unionized jobs in the state. 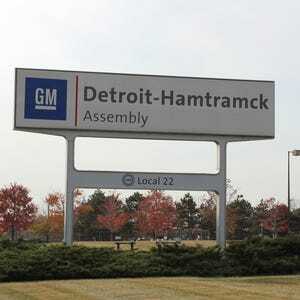 Despite years of plant closures that accelerated through bankruptcies at General Motors and Chrysler in 2009, Michigan is still home to a dozen light-duty vehicle assembly plants, employing nearly 35,000 employees. Recent auto manufacturer investment has exceeded $8.9 billion in nine of these plants, according to a new report prepared by PricewaterhouseCoopers for MICHauto, a group dedicated to promoting, retaining and growing the auto industry in the state. Michigan produces 28 different vehicles. In 2016, nearly 40% of those vehicles can be categorized as trucks and SUV and crossover vehicles, keeping in line with consumer preferences shaped in part by low gasoline prices. “The facilities make a significant contribution to their local communities and are a major part of Michigan’s annual automotive industry,” the report issued earlier this month concluded. It hasn’t been easy to keep the auto industry revving here. In the 1980s, southern U.S. states attracted assembly plants that once would have called Michigan home. Areas along the Mexico border picked up steam for auto plants in the 1990s. Automakers then ventured overseas to places like China in the hunt for cheaper components. Today, Silicon Valley and electric carmaker Telsa’s home in Nevada are making push for autonomous and connected cars and trucks in a race for the industry’s top computer coders, designers and engineers. Now more transformation could rock Michigan’s auto production, experts say. Most major automakers have built new plants in Mexico in recent years or have plans to expand there over the next two years and have grown to rely on production from the country because of lower wages and less regulation. The investment down south has not sat well with President-elect Donald Trump. And he could have a somewhat unlikely ally: UAW President Dennis Williams said shortly after the election that the union hoped to work with Trump to change, fix or dismantle the North American Free Trade Agreement (NAFTA) to boost U.S. employment. “I am prepared to sit down and talk to him about trade. NAFTA is a problem. It is a huge problem to the American people,” Williams said. But there could be substantial costs. If the U.S. were to enact a 35% tariff on light vehicles imported from Mexico — as Trump has mentioned as a possible tactic — the Center for Automotive Research estimates car and light truck sales in the U.S. could drop by 450,000. And that could lead to the loss of nearly 6,700 assembly jobs across North America, according to the research group. 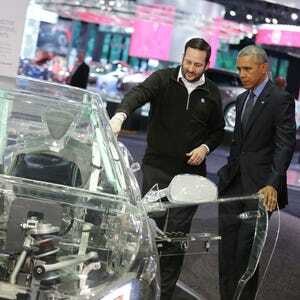 Tens of thousands more who work in automobile parts production could also be cut. The looming Trump presidency has already begun to influence automakers’ production choices. 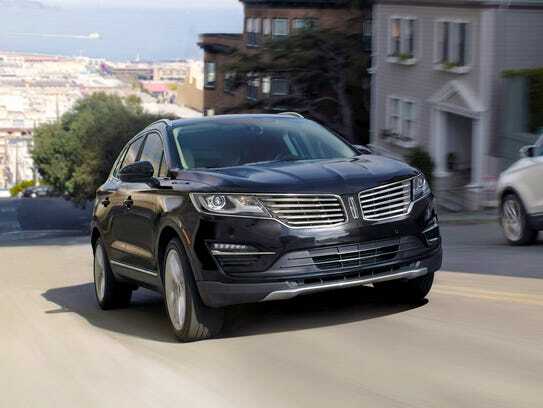 Ford said last month that it decided to continue producing the Lincoln MKC in Kentucky because of “changing business conditions” — not because of threats Trump has made over the past 18 months to impose tariffs on cars made in Mexico. However, Ford does concede that the economic policies the president-elect has proposed helped to tip the scale towards keeping production of the crossover in Kentucky. Fiat Chrysler Automobiles noted that it has announced $8.4 billion in U.S.-based investments and has added almost 25,000 new U.S. jobs since 2009. However, FCA also is moving production of its next-generation Jeep Compass from Belvidere, Ill., to Toluca, Mexico. Despite the shifting political winds, the PricewaterhouseCoopers report forecasts Michigan assembly will remain stable producing between 2 million and 2.5 million cars and trucks through 2022. But they might not all be making the same product tomorrow as today. The difference? More trucks and SUVs and fewer cars. The shift is already playing out on the assembly lines. General Motors said earlier this month it will close five assembly plants for one to three weeks in January to shrink swelling inventories of passenger cars. Production of the Chrysler 200 at Fiat Chrysler’s Sterling Heights plant is ending altogether. But the plant likely will see new investment in the Ram Truck production. FCA’s Warren plant likely will also see product changes because of the Ram Truck shift. “The overall impact of this move is one area to watch in the future,” the report concluded of Chrysler’s moves. Ford previously announced its plans to move the C-Max and Focus to Mexico and to add new vehicles to production at Michigan Assembly. “While there is an overall impact to the Michigan Assembly production totals, Ford’s overall Michigan long-term production remains stable,” the report said. Michigan has made some recent gains on the latest technology seen to be driving the auto industry’s future. 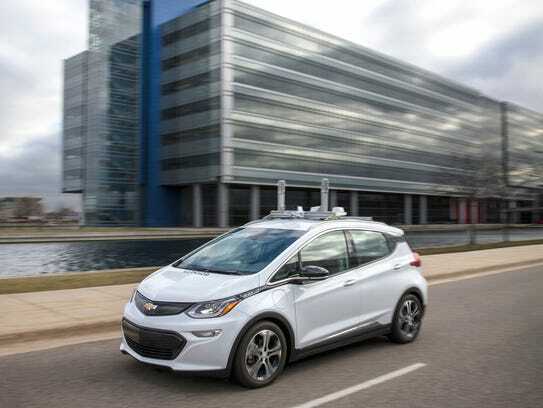 GM is beginning to test a fleet of autonomous Chevrolet Bolts on public roads around metro Detroit. GM becomes the second traditional automaker to test a fully autonomous vehicle on public roads outside their own campuses and proving grounds. Ford has done some testing on public roads since July 2015. The autonomous Bolts also will be assembled beginning early next year at the Orion Assembly plant in Oakland County. But one of the more pressing questions centers on what Trump will do on trade. Trump has said he intends to renegotiate NAFTA in a bid to keep factories and jobs from moving across the border. But estimates from the nonprofit Center for Automotive Research suggests the consequences could be severe if he scraps it altogether. Wholesale withdrawal from the agreement in place since 1994 could set in motion substantial impacts for the U.S. automotive industry — including the loss of at least 31,000 U.S. automotive and parts jobs, according to CAR. In the end, according to CAR, the state’s auto-related jobs both inside and outside the plants could be at risk of moving to other countries with cheaper labor costs if production moves away from North America as a result of significant changes to NAFTA. Moving jobs back to the U.S. from Mexico could also be an expensive prospect for automakers, according to CAR estimates. U.S. auto assembly plants are already essentially full, with capacity utilization at 94%, according to CAR. The research group estimates automakers would have to spend between $4.7 billion and $6.5 billion to transfer vehicle production to the U.S. from Mexican plants.